Trying to book multiple rentals at once for a large group? Contact us directly. A beautiful two-floor, five bedroom, three bathroom home with spacious living areas and a full kitchen. Recently renovated, the Sunset Home has plenty to offer for a large group, or a group seeking the most spacious and comfortable living space. Our most requested rental, and for good reason. A beautiful view of the lake and the sunset from the screened-in porch. This cabin is located closest to the water. Features 2 queen bedrooms and one bath. A two bedroom, one bathroom cabin located close to the water. As beautiful as our most requested rental, the Balsam, this cabin features a fantastic view of the water and the sunset. 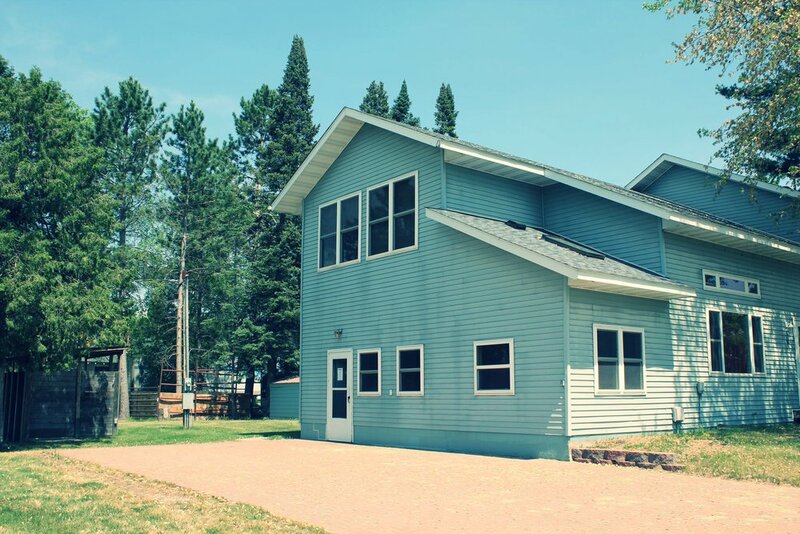 A two bedroom, one bathroom cabin rental with a spacious living area. 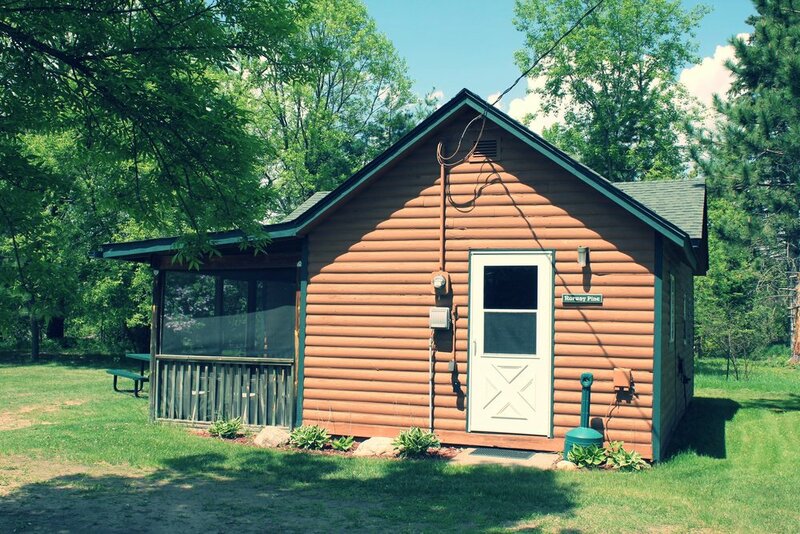 The Red Cedar is our most standard cabin rental available. Located centrally on our property, the White Pine features one queen bedroom and one bath. A smaller and more economical option for a group of 2-3.